Our tasting room was built for our community. It was strictly designed for your comfort. A place where you can wind down after a long day or grab a few pints with some friends. 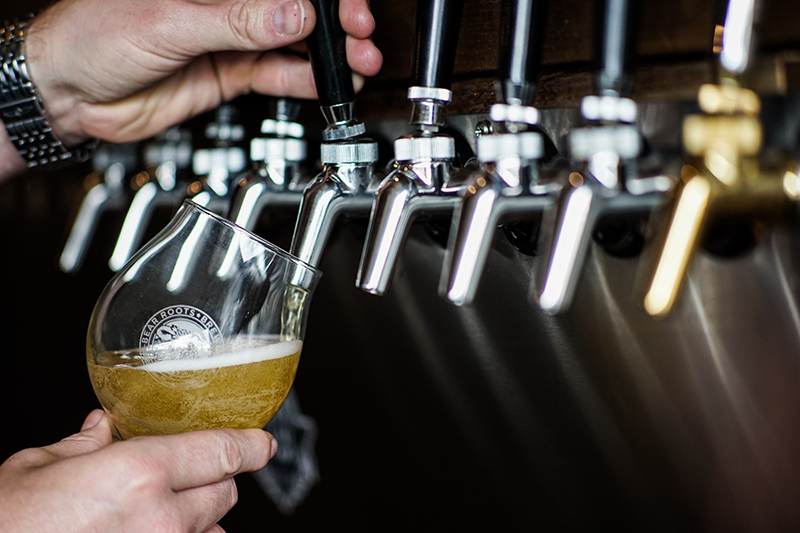 We have a wide selection of beers, brewed with handcrafted consideration and we ensure only the highest quality beers are served from our taps. All our beers are manufactured and served by Bear Roots Brewing and designed to satisfy a broad spectrum of palates. So come in, relax, order a pizza, watch a game or simply grab a pint and shop for home brew supplies.